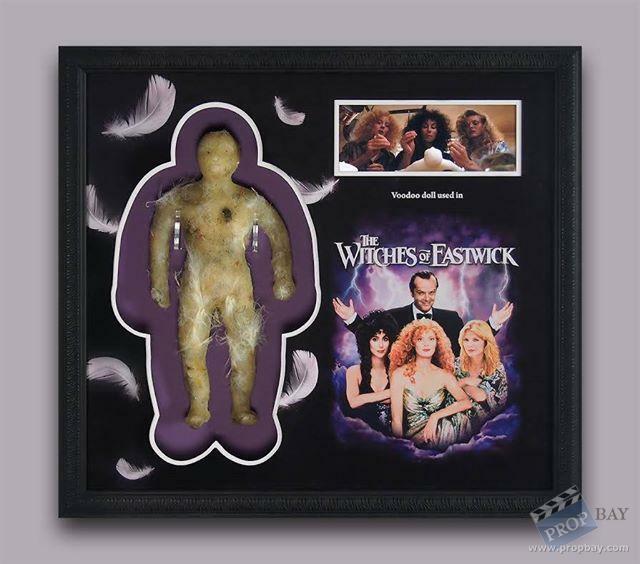 Screen Used wax male voodoo doll figure with remnants of feathers attached, used in The Witches of Eastwick (Warner Bros., 1987). The film stars Cher, Susan Sarandon, Michelle Pfeiffer, and Jack Nicholson. 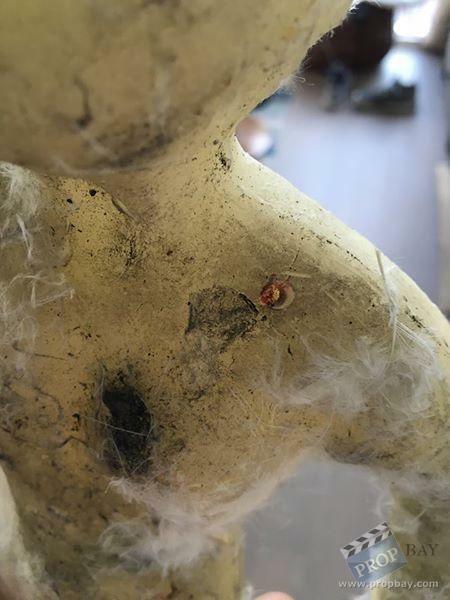 The voodoo doll was used by the three women to cast spells on Nicholson's character. The film was nominated for Academy Awards for Best Sound and for Best Music, Original Score. Added: 01-20-2017 - Viewed: 932 times.